There is a fantastic little exhibition on now at the National Museum Cardiff. Called Going Modern: The Struggle for Abstract Art in Wales, it looks at the development of abstract painting and sculpture in Wales during the 1950s and 1960s. During the immediate post-war period, Welsh artists looked to their local surroundings for inspiration. With the encouragement of the Arts Council emerged what critics at the time called the Welsh ‘Environmentalist’ School. Yet by the mid-1950s images of miners or mountains seemed clichéd. The most progressive artists turned to Paris or New York where new forms of abstract art were emerging. Movements such as American Abstract Expressionism became particularly influential. Artist-led organisations like the ’56 Group were founded to promote abstract art in Wales. The Arts Council, after some initial skepticism, became equally enthusiastic towards the new aesthetic. Modernist art was linked with a wider optimism about the emergence of a ‘new’ Wales. Yet abstract painting remained controversial with the wider public. For many it exemplified the inaccessibility of modern art. Such criticisms were often bound up with broader concerns about Welsh art losing touch with what were perceived as traditional symbols of Welshness. Modernism seemed at odds with the ‘traditional’ Welsh way of life. And yet, as is clear from this exhibition, many of Wales’s abstract artists still looked to their local surroundings for inspiration – they simply experimented with new forms, to capture the mood and feeling of place. 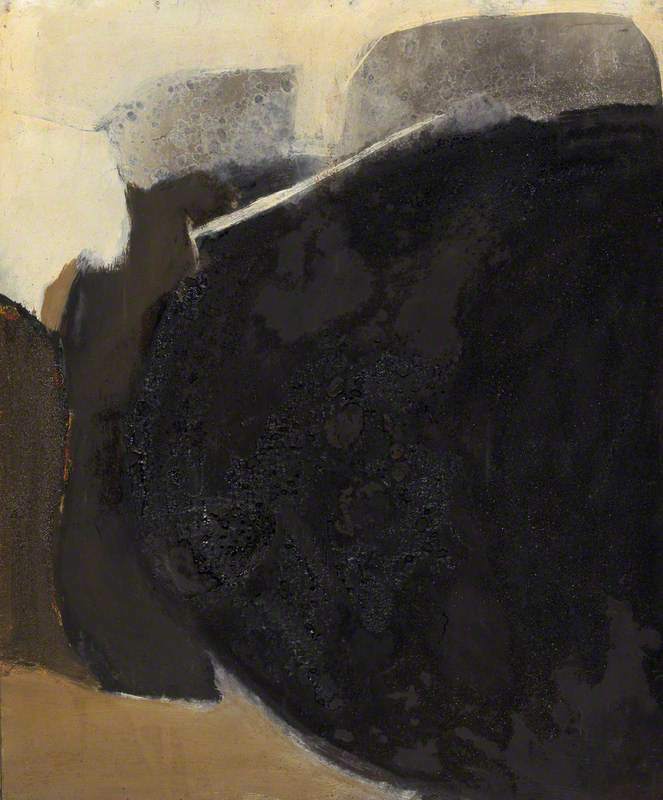 Robert Alwyn Hughes’s At Valleys End (1961), for example, evokes the coal and ironstone outcrop of the south Wales landscape; John Selway’s Cwm Nante (c.1965) captures the weight and gloom of the coal tips over Dowlais Tops; and Arthur Giardelli’s Violet Reflections (c.1960s) recalls the tides and rhythms of the south Pembrokeshire coast. This is not true in every case. Purist abstractionists like Jeffrey Steele and Keith Richardson Jones seem solely interested in shape and colour rather than place. But it is interesting to note that, despite the pull of Paris and New York, Wales maintained its grip for many over the artistic imagination. Going Modern: The Struggle for Abstract Art in Wales is at the National Museum Cardiff till November 25. 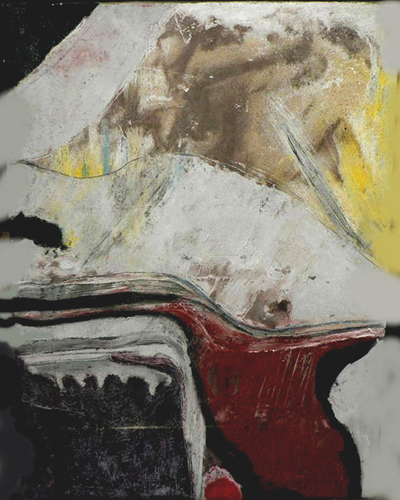 This entry was posted on November 13, 2012 by Huw David Jones and tagged Abstract Art, Arthur Giardelli, Huw David Jones, Jeffrey Steele, John Selway, Keith Richardson-Jones, National Museum, National Museum Wales, Robert Alwyn Hughes, wales.